Which CRM for Commercial Real Estate? I’m researching and trying to implement a CRM tool geared toward real estate. ****** said you are quite the guru. Any chance of sharing some ideas? Not sure about “Guru”, but I’ve demo’ed REA, Salesforce with various CRE overlays, and used ClientLook for about 6-8 months. I have now been using Insightly for the last 60 days or so. I don’t see myself changing anytime soon, it does what I want, has great integration with Google Apps (which I am a heavy user) and does all I really need. In CRE, we really have the owners of 400-600 properties to track, and ~200 buyers and any one time. 20-30 transactions per year – it isn’t that demanding on your CRM – compared to a sales guy at a car dealership doing 25 cars per month, and tracking 2000 “ups” in Salesforce or ACT. I would say the most important part of the entire success of your chosen CRM, is putting EVERYTHING you do into your CRM, EVERYDAY. People in my industry are by and large very lazy with data, and their deal flow suffers. Which just makes more listings, more sales, more commissions for me. On second thought, I don’t recommend that any of my fellow brokers in my market utilize a CRM. Total waste of time. Anyone looking to buy or lease commercial real estate should not spend one hour of their time out hunting for a building. Commissions Paid Up Front. 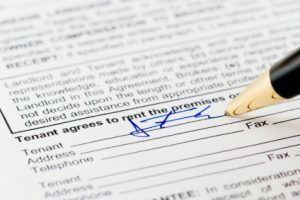 What if the Tenant Leaves?